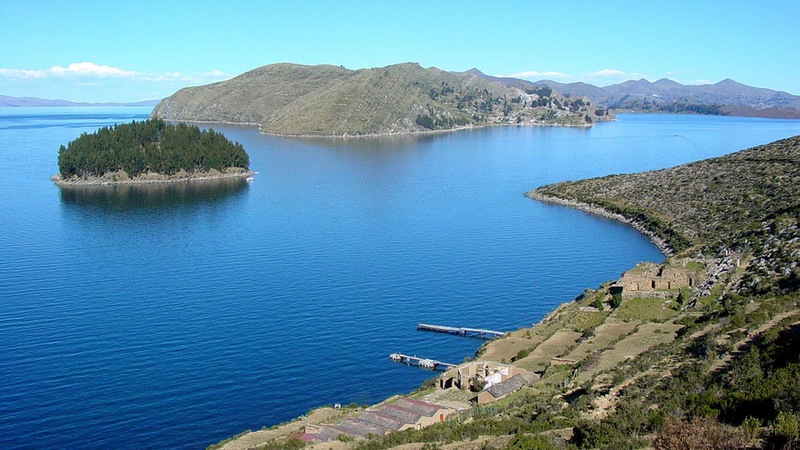 PGP Travel » Titicaca Isla del Sol (Full day). Titicaca Isla del Sol (Full day). 06:00 am Transfer by road to the Sanctuary of Copacabana to board the catamaran cruise. Enjoying a snack on board, we will visit the Del Sol Island the cradle of the Inca Empire. In this legendary island we will visit the Garden steps, the Inca Fountain. The itinerary includes a visit to Inti Wata Cultural Complex, the largest private tourist attraction in Bolivia wich holds the underground Museum of Ekako. The centers of traditional medicine, construction of rafts made of reeds, the Pachamama agricultural Inca terraces, a handicraft center, shelter Intica and the largest variety of Andean camelids located in “Manco Kapac”. Visit the Inti Wata Complex, also includes the possibility of sailing on board an immense typical raft of Totora and a panoramic view of the Inca Palace Pilkokaina. Later we board the catamaran to return Copacabana. On the way lunch is served as a buffet. Transfer by road from Copacabana to Puno.